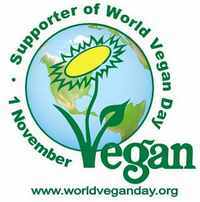 World vegan day falls on 1st November and continues with a month of celebration and awareness campaigns. The theme for this year is “improving the quality and availability of vegan food” and the vegan society will be reaching out to large chain restaurants, universities and other catering establishments to get more good-quality vegan choices onto menus. You can get stuck in with a gold, silver or bronze pledge. This is for non-vegans who would like to try veganism for one week, fourteen days or one month. The jury is still out as to whether a vegan diet is better for the environment or health, but why not try it for a week and see how you feel? The three main reasons people give for going vegan are concern for animals, people and the environment. other adopt a vegan lifestyle to improve their health. Non dairy alternatives to milk include soya, oat, rice or nut milks. You can get non dairy alternatives for yogurt, cheese, yogurt, cream, custard and ice cream. You can tuck into egg free mayonnaise, tofu, seitan, TVP, seeds, nuts, grains and substitute honey with agave or rice syrups. There are also plenty of companies offering ‘meat substitutes’ such as bacon, burgers, sausages and other alternatives. I have to say I am suspicious of these; you either want to taste of meat or not, surely? I’ve been vegetarian for 20 years, but never gone vegan. I have to admit, I love yogurt and butter and we get access to great quality free range, local, organic eggs as well as local honey. Having said that, some of the recipes available on the “Vegan catering for all” leaflet look amazing and I’m tempted to give some of them a go. What about you? What do you think of meat and dairy substitutes – do you think they are a healthy alternative and what about air miles; isn’t it easier to eat meat and eggs from you local area than grains and pulses and therefore better for the environment? @worldveganday: Hi Worldveganday; good to see you – welcome to the site! I never knew veganism was 65 years old this year, It sounds like it will be an awesome event. I’ll post about it again and get everyone up to speed on what is happening. 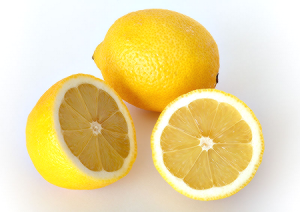 5 a day is a great place to start – good luck! You left a comment on my site and I wandered across to yours. I must say that you hardly look as if you need the bloggers course – it’s SO professional! Nevertheless, I hope that doing the programme allows you some fresh ideas to further grow and flourish. Regards this post in particular, I was intrigued to know that there’s going to be a world vegan day on the 1st November. Fabulous! I am vegetarian and eat an almost vegan diet – no fish, meat, and little dairy – and believe firmly in good, natural food. Vegetarian or vegan “meats” etc don’t cut it for me. My primary reason for becoming vegetarian was health. As a lot of the “like meat” products have synthetic ingredients, I won’t touch them for the same reasons I now won’t touch meat: toxicity. Also, switching to a primarily vegetable based diet requires a mindset change that I think the “like meat” products avoid. I now eat completely different types of dishes to the “meat and two veg” that was once my staple. This makes it quite difficult to eat out sometimes and indeed to visit with friends, but I am so much more healthy and energetic as a result of switching that I think it’s a price worth paying. It sounds like we share some similar views on eating and health. I certainly do not advocate ‘meat substitute’ style foods, but I understand they can be useful in the transition from meat eating. I did use TVP and quorn when first starting out, but much of that was to convince my boyfriend of that time that this could work for us!